The brave women of the Afghan National Women’s Cycling Team have a mission: to break through the gender barriers that exist in their country and around the world by riding their bikes. Century Cycles and Liv Cycling USA support the team's efforts and were proud to be part of an event called the Global Solidarity Ride. Taking place on August 30, 2014 all around the world, this was a way for us all to show the women of Afghanistan that they are not alone in their revolutionary actions. All cyclists (women & men) were welcome! 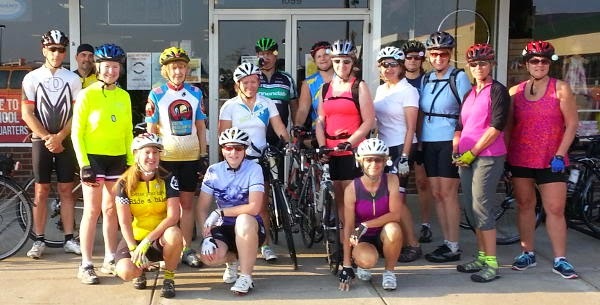 19 riders showed up for the ride, which was a 25-mile route beginning and ending at our Medina store. Thanks to everyone who attended! It was a beautiful day, and we all enjoyed the scenery and conversation during the ride. 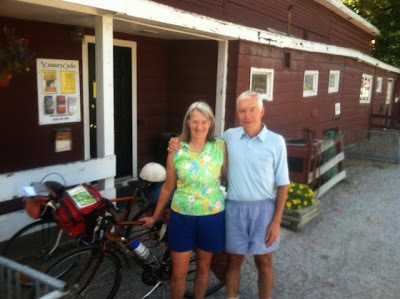 Pat Frey and Larry Deck stopped by the Century Cycles store in Peninsula on Aug. 28, 2014 while riding from Ann Arbor, Michigan to Washington, DC. Once they reach western Pennsylvania, they'll follow the Great Allegheny Passage/C&O Canal Towpath Trail to DC. 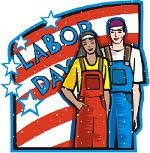 PLEASE NOTE: All three Century Cycles stores will be CLOSED on Monday, September 1, 2014 in observance of the Labor Day holiday. Sorry for any inconvenience! K.C. 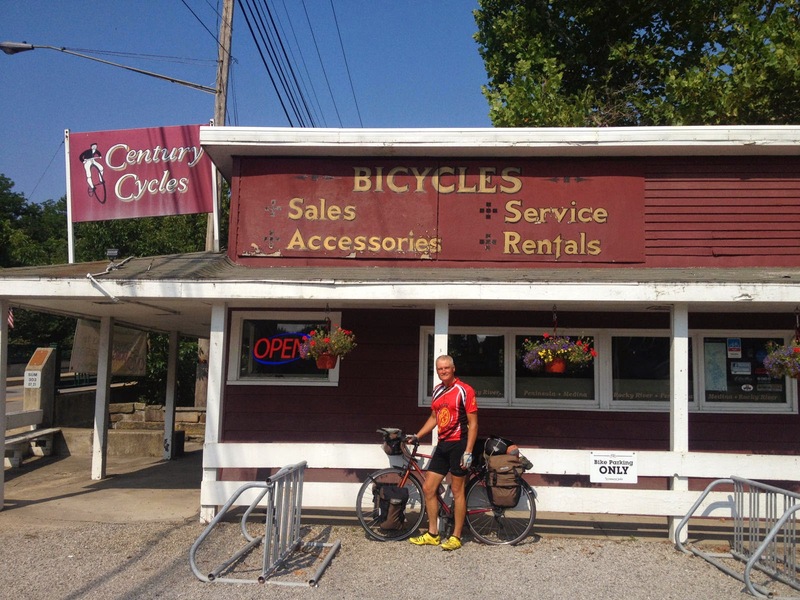 stopped by the Century Cycles store in Peninsula on August 21, 2014 while riding from Detroit, MI to Washington, DC. 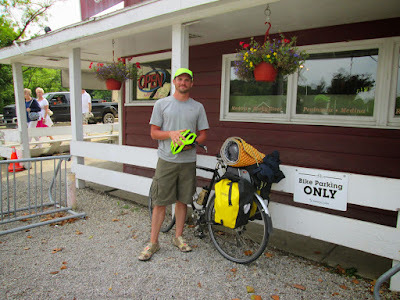 He's on his Surly Long Haul Trucker, and said he's riding "just for fun." 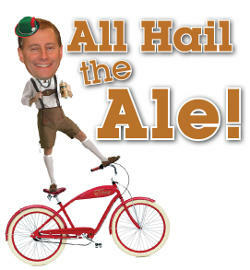 Our 5th annual "All Hail the Ale!" 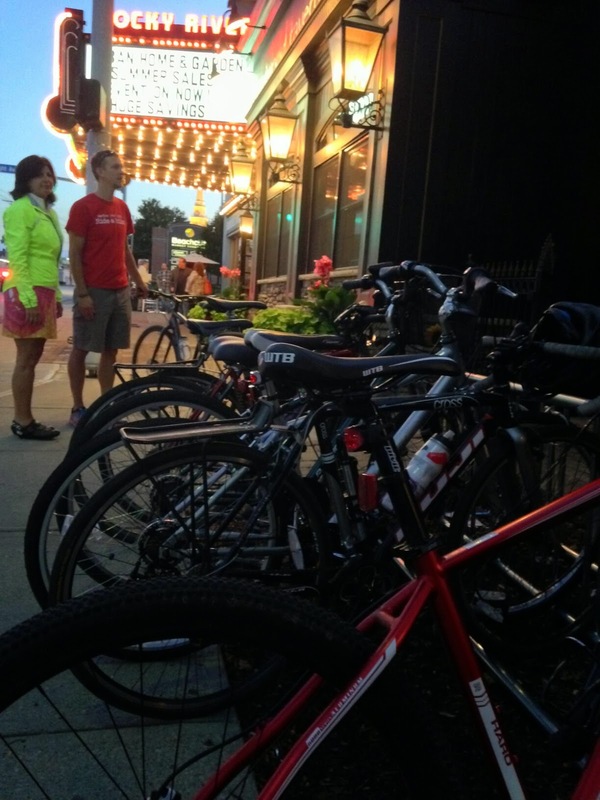 Night Ride on the Towpath Trail was a huge success this past Saturday, August 23, 2014. 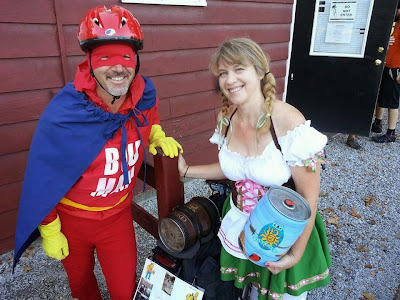 We had over 140 riders show up on a beautiful summer evening, many of whom followed the "dress as your favorite beer" theme. The grand-prize winner of a $25 Century Cycles Gift Card for the best costume was Jennifer (above, right) as the St. Pauli Girl. Congratulations, Jennifer! Thanks to Sierra Nevada Brewing Company for providing us with door prizes and exclusive keg-tappings at The Winking Lizard Tavern next door! 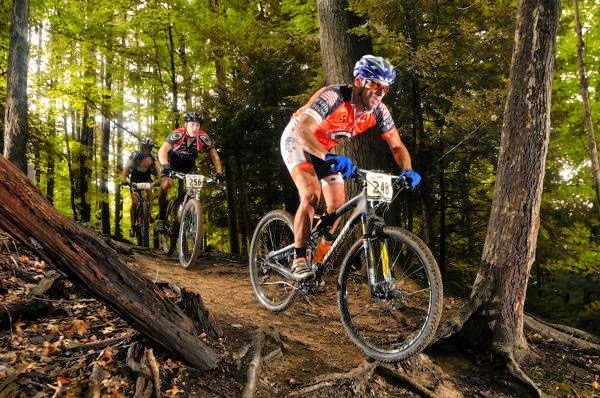 Northeast Ohio's most popular off-road cycling festival is back on August 30-31. 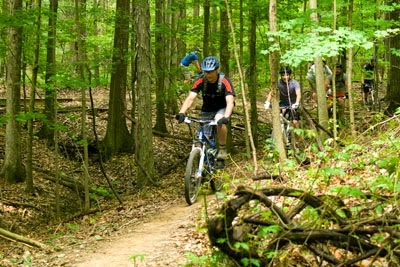 The Manatoc Experience features trails that are only open for mountain biking for this one weekend a year! It takes place at Camp Manatoc, located at 1075 Truxell Road in Peninsula, Ohio. On Saturday from 10:00am to 4:30pm, visit the demo area to test-ride mountain bikes from Giant Bicycles, Surly Bikes, and Salsa Cycles! 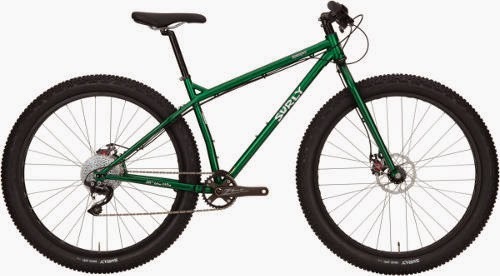 We'll have the Surly Krampus bike in a range of sizes for you to try out on the 1-mile demo trail. Once you try this new breed of mountain bike with its unique 29x3-inch tires, you'll be hooked! We'll also have 27.5-inch wheeled bikes from Giant, and Salsa snow bikes! FOR WOMEN: Liv Cycling USA's women's-specific mountain and road bikes will be available to demo! For all bike demos, please bring your helmet, cycling shoes, credit card, and photo ID. 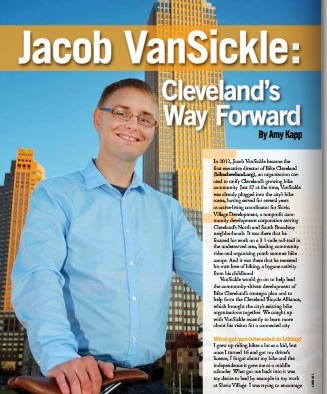 In the last two years since the founding of our local bicycle advocacy organization Bike Cleveland, Executive Director Jacob Van Sickle has done a great deal to lead the organization towards making Cleveland and Northeast Ohio a more bicycle-friendly place. His efforts, and the progress the region has made, are recognized in the latest issue of the Rails-to-Trails Conservancy's magazine. You can read the full article here. PLEASE NOTE: Due to a special event, on Tuesday, August 26, 2014, our Towpath Trail Bicycle Rental at the Century Cycles store in Peninsula will be UNAVAILABLE before 3:00pm. Normal bike rental service will resume at 3:00pm on that day. Following on the heels of our successful Bike Night at The Burntwood Tavern, this Sunday, August 24, 2014 is the final night of this season for Bike Night at Herb's Tavern! 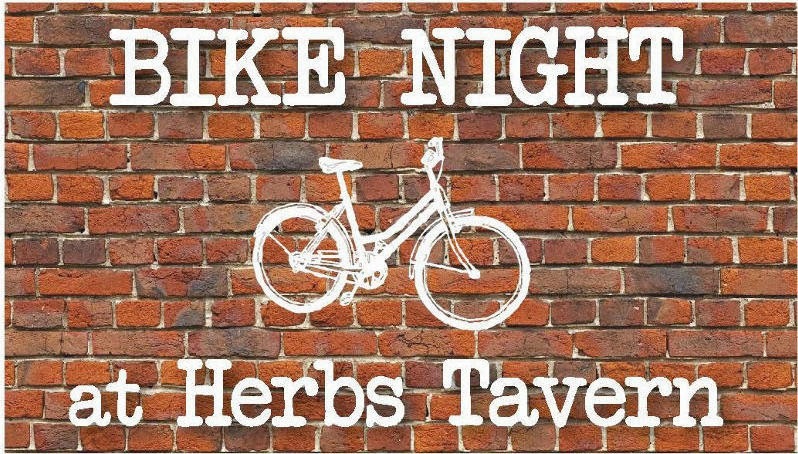 Ride your bike to Herb's Tavern tomorrow from 3:00pm to closing, and receive 15% off your bill, plus an entry in the drawing to win a hybrid bike from Raleigh Bicycles (valued at $450). The drawing will take place at 7:30pm, and you MUST be present to win! Herb's Tavern is located right next to the Century Cycles store in Rocky River at 19925 Detroit Road. 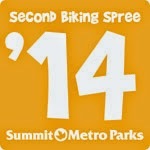 We are approaching the FINAL week of the Summer Biking Spree! 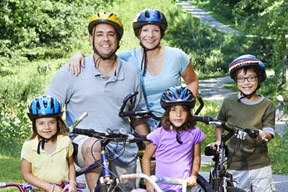 Cyclists of all ages can earn free rewards. * Ride at least five different sections of the multipurpose trails managed by Summit Metro Parks: the Bike & Hike Trail, the Towpath Trail and the new Freedom Trail by August 31. One lucky participant – drawn at random from submitted forms (due by 10/15) – will win a new Raleigh bicycle from Century Cycles. The drawing will be held October 16. The number of completed forms will determine the odds of winning. 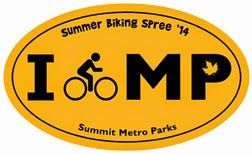 Riders can earn a bicycle license plate, reflective sticker, and vehicle-window cling. You can download an entry form here. Additional forms are available at the visitors center at F.A. 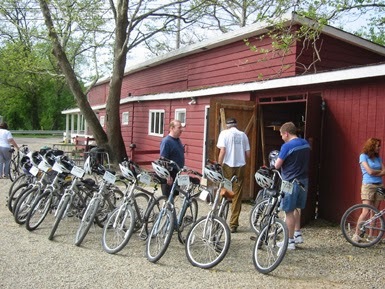 Seiberling Nature Realm, the park district's administrative offices, at Century Cycles in Peninsula, and all Acme Fresh Market stores. For more information, call 330-865-8065. * Out-of-county residents pay $5 to receive their rewards. Century Cycles and Liv Cycling USA support the team's efforts and are proud to be part of an event called the Global Solidarity Ride. Scheduled to take place on August 30, all around the world, this is a way for us all to show the women of Afghanistan that they are not alone in their revolutionary actions. All cyclists (women & men) are welcome! Please RSVP by calling the store at 330-722-7119. Also, the evening before, check out our Women's Basic Bike Maintenance Clinic. We are once again one of "America's Best Bike Shops!" We have just learned that once again, we have been named one of "America's Best Bike Shops" for 2014! Thank you to you, our loyal customers, and to our dedicated staff. We could not have done it without you! The America's Best Bike Shops program is administered by the National Bicycle Dealers Association, and conducted by an outside independent agency using surveys, secret shoppers, and a range of other criteria. Sales of electric bicycles in Europe and Asia have exploded in recent years, but have been slow to grow in North America. It could be a classic chicken-and-egg scenario: consumers are not buying them because not many bike shops are carrying them, but bike shops are reluctant to stock them because of low demand from consumers. 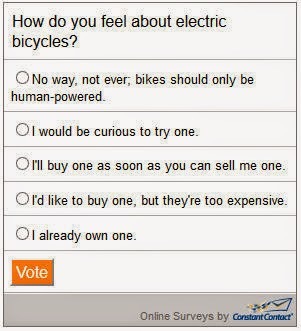 How do you feel about electric bicycles? Click here to take our latest online poll to let us know! Our FINAL Flat Tire Repair class for the summer season is TONIGHT at 7:00pm at all three Century Cycles stores. The class is FREE and no RSVP is necessary; just show up with one of your wheels! Look for our schedule of upcoming Winter Bicycling & Maintenance Classes, which will include all of the above topics and more, starting in November. Join us for a Women's Basic Bike Maintenance Clinic, presented by the road crew from Liv Cycling USA, the women's-specific brand of Giant Bicycles! 3F’s (Fit, Form & Function) - Learn how to pick out the best bike for your riding style and ability along with learning about Liv’s 2015 bicycle line up! Basic bike maintenance covers bike parts, how to perform a safety check, basic day to day maintenance, how to troubleshoot issues on the road and trailside, how to change a flat tire and remove/reinstall a rear wheel. Refreshments and fun swag will be provided! The "All Hail the Ale!" Night Ride on the Towpath Trail returns this Sat, Aug. 23, 2014! It's BAAACK!!! Our annual celebration of bicycles and beer returns this Saturday! Decorate yourself or your bike in tribute to the event theme "All Hail the Ale!" While beer costumes are not required, they are highly encouraged. Those in costume will have a chance to win prizes, plus they won't have their beer loyalty questioned. 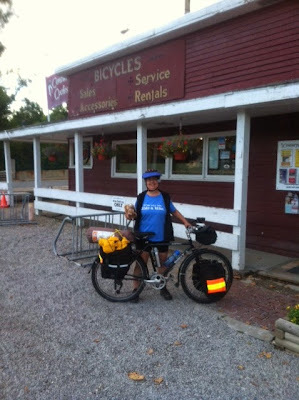 6:30pm - Riders check in at the store parking lot, and enjoy cycle-your-own-smoothies from our famous Blender Bike. 7:30pm - Drawings for door prizes from Century Cycles and Sierra Nevada Brewing Company begin, followed by selection of the best costume winner for the grand prize. 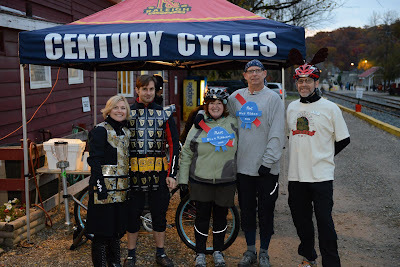 8:00pm - Ride begins; we'll head south on the Towpath Trail, about 7 miles each way to the Botzum Trailhead, where you'll enjoy Oktoberfest-themed snacks to fuel you up for the ride back to The Winking Lizard. While the Night Ride is FREE and requires no advance registration, Night Riders must sign a waiver before participating and are responsible for the purchase of their own beer and food at the Winking Lizard. This ride is at night, in the dark woods on an un-lit trail. That is why bicycle lights and helmets are REQUIRED. Children under 16 must be accompanied by an adult; young adults under 21 should ignore all the excitement about the beer tapping. Finally, make sure those beer costumes don't hang or catch in a bicycle's spokes or chain (falling off your bike tends to ruin the fun) and that you can still wear your bike helmet in costume. Thanks for joining us for Bike Night at The Burntwood Tavern of Rocky River! 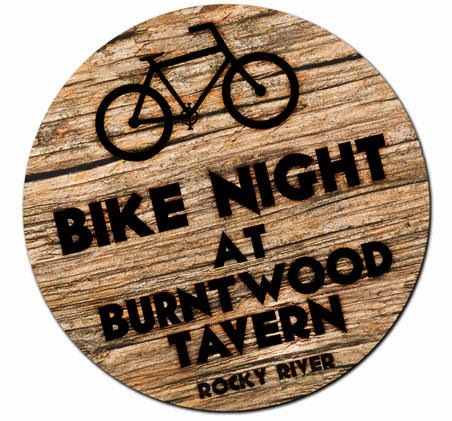 Our first year of our partnership with The Burntwood Tavern of Rocky River for Bike Night has come to a close! Thanks to everyone who joined us! 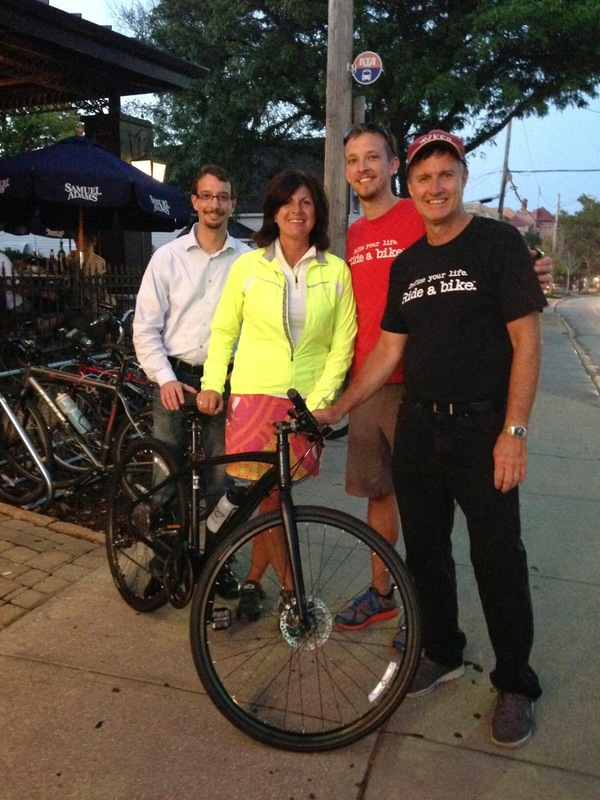 From May 7 through August 6 of this year, patrons who rode their bicycles to The Burntwood Tavern (19304 Detroit Road, Rocky River, Ohio) from 6pm to close on Wednesday got 15% off their total bill, plus a chance to win a Raleigh Misceo 2.0 bicycle! 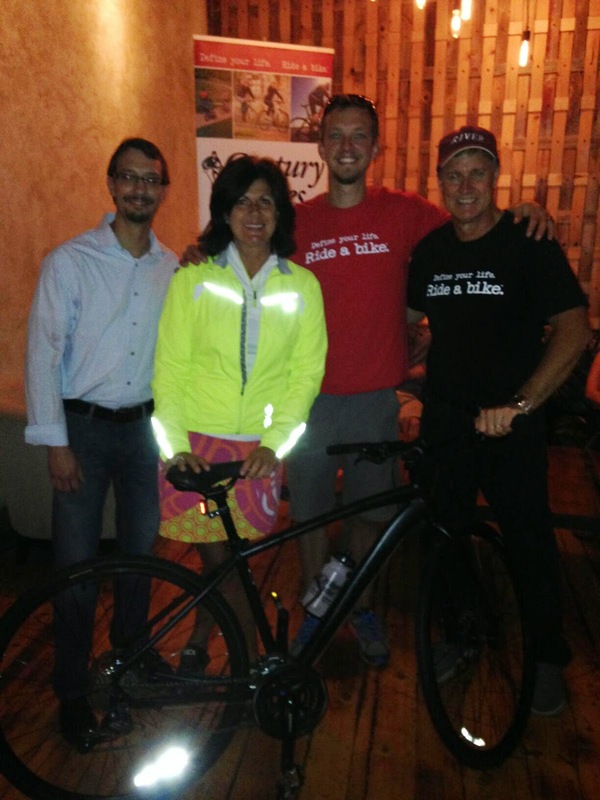 At the Bike Night finale party last Wednesday, Rhonda Jones was chosen as the lucky winner! 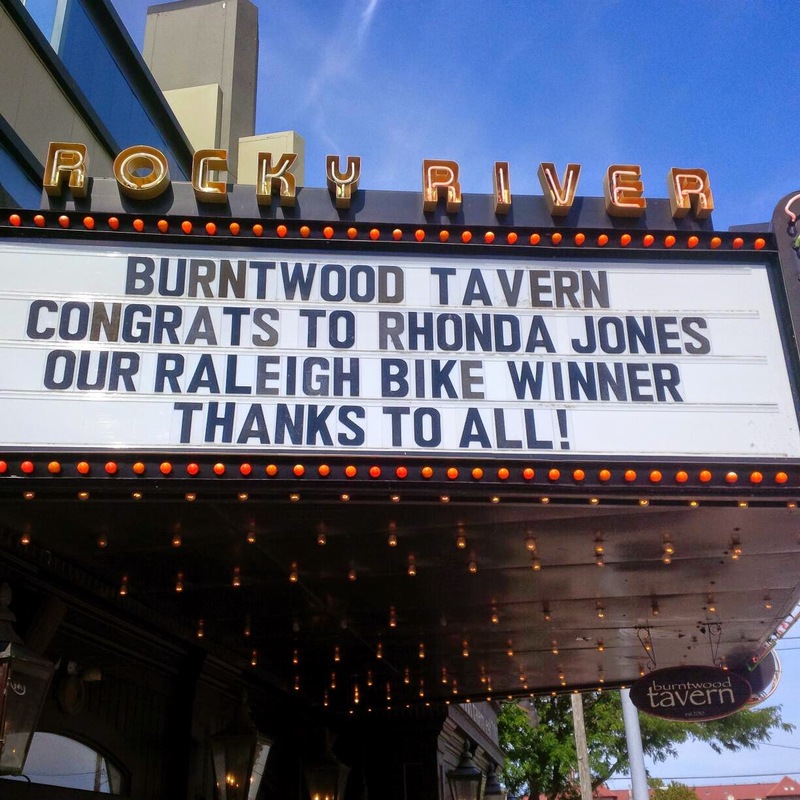 Congratulations to Rhonda, and thanks to Raleigh Bicycles for the awesome bike! The bike is a beautiful piece of art whose shape and design hasn't changed since its invention. Today, the bike is a symbol of freedom and beauty. It's hip and it's hot. 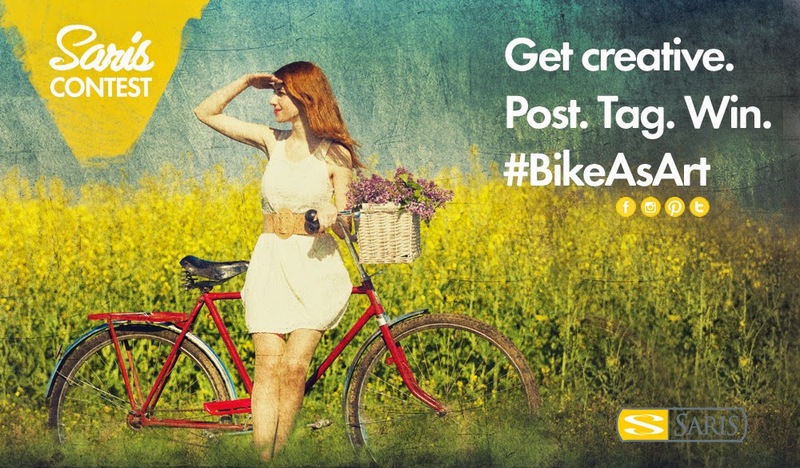 Inspired by our love for the bike, Saris has created the #BikeAsArt campaign to generate an outlet for a community of people who love their bike to connect via social media and share their photos and creativity. As part of this campaign, Saris is giving away six pieces of their designer bike furniture to people who enter the #BikeAsArt Photo Contest. Over a two week period, three participants will win one product of their choice (either the Hottie, Boss, or Show Off bike storage system). Go to www.saris.com/post/bikeasart-contest to find out how to enter! I have mentioned my Salsa Fargo bicycle on this blog before, but I wanted to take some time out to tell you about why it's my favorite bike, and what makes it such a great bike. When people see these bikes sitting on our sales floor, the reaction is often as confused as when people see our snow bikes. "What is THAT?" The Fargo is an unusual-looking bike; the drop handlebars make it look like a road bike, but the fat 29er tires are clearly made for mountain biking. 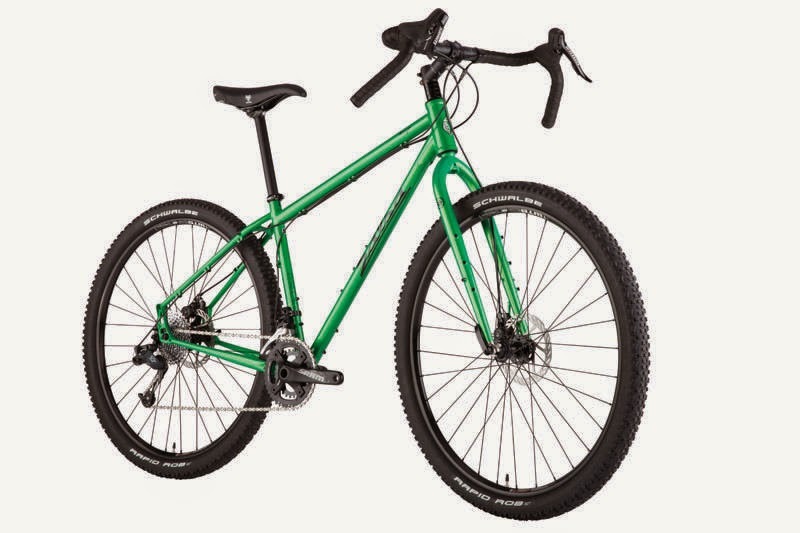 Salsa Cycles describes the Fargo as "a drop-bar mountain bike designed for off-road touring." That drop handlebar they're referring to is their own model, called the Woodchipper. It's got a wide flared-out shape that gives you a more comfortable position for your wrists and better leverage and control when riding off-road. When we say off-road touring, we're talking touring in the sense of loading up your camping and cooking gear and heading out for an overnight trip, or a week, or even a few months. The design of the Fargo was inspired by the Tour Divide, the unsupported ultra-endurance race held every June on the Great Divide Mountain Bike Route. At the start of the 2013 Tour Divide event, 10 percent of the field was aboard a Fargo. Salsa-sponsored racer Jay Petervary holds the Tour Divide record, which he set on a Fargo Ti. But the Fargo is not just a mountain bike, and not just a touring bike. For me, the Fargo is a true "hybrid" bike, and I don't mean "hybrid" in the "grandpa bike" sense of the word like you'd usually think, but hybrid in that it can do anything, and do it well with very few compromises. I wouldn't want to have only one bike, but if I had to limit my collection to just one, it would be the Fargo. I've used my Fargo in every cycling situation you can imagine, and it has excelled in every one. The Fargo has all the mounts and fittings to accept full front and rear racks and fenders, so it's easy to carry as much or as little as you need for your daily commute. Put a pair of skinny road tires on the wheels if you've got mostly smooth pavement to cover, or fat slick tires like the Serfas Drifter 29er to give you a good balance of smooth rolling and pothole-eating girth. Even though the Fargo is made for off-road touring, there's no reason it wouldn't work great for on-road touring as well. Put some smooth tires on it, choose the tire width based on the road conditions, and load 'er up and go. Add front and rear cargo racks if you want to carry your stuff in standard panniers. The Planet Bike Cascadia 29er Fenders fit great. Click here for a more detailed account of my first on-road tour with the Fargo. The original versions of the Fargo supported any standard front and rear racks. The latest versions use Salsa's alternator dropouts on the rear, which allow you to convert the bike to a singlespeed. The drawback is that you must now use the special Salsa Alternator rack. Up front, the current Fargo 3 has a steel fork, which supports most standard front racks, or you can use Salsa's Anything Cages to strap storage bags on to carry your stuff. The current Fargo 2 and Fargo Ti use a carbon fork, so Anything Cages are your only option on the front. The Fargo is, at heart, a mountain bike, so it goes without saying that it does well on mountain bike trails. My first ride with the Fargo on singletrack was at Quail Hollow State Park, where I did a head-to-head comparison between the Fargo and my full-suspension mountain bike. Later, I took it to Ohio's favorite mountain bike trail, Mohican State Park. Click here to read more about both of these first test-rides. 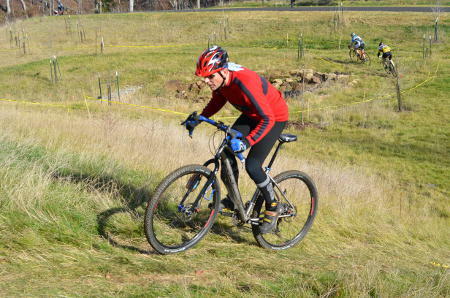 It was also worthy of a few mountain bike races, including the 2012 Iceman Cometh Challenge. Of course, riding a fully-rigid bike (without suspension) on a mountain bike trail takes some getting used to, and it does beat you up a bit. My Fargo frame is compatible with a suspension fork with 80mm of travel; the 2014 and new models are compatible with 100mm suspension forks. For 2015, Salsa will offer the Fargo 2 Suspension, which will come equipped with a RockShox fork. During 2013, I swapped some parts around on my Fargo, adding a suspension fork and a flat handlebar to make it a more "traditional" hardtail mountain bike. Read more here about my experiences with this setup, and how I converted it back to its original setup at the beginning of this year. Click here to read a detailed list of all the gear. Click here and here for details of a multi-day trip I did on the High Country Pathway, an 80-mile off-road loop in northern Michigan. So, the Fargo sort of looks like a road bike, but how does it ride as a road bike? Just fine! Click here for details of a head-to-head comparison I did of my Fargo versus my regular road bike, which is about 7 pounds lighter. Long story short, the Fargo was a tad slower, but for the average person of average fitness, not enough to worry about. Got the urge to suffer for 45 minutes with your heart rate pegged while you pedal around a dirt track and jump barriers? No need to buy another bike if you've got a Salsa Fargo; it handled the Wooster CX race in late 2012 for me just fine! The gravel grinder race is a phenomenon started in the upper Midwest and is sweeping the nation. Held on little traveled back country roads, most people choose a traditional cyclocross bike. Gravel-specific bikes have been popping up the past couple of years from all of the major bike manufacturers. The Fargo had it covered for me at the inaugural Amish Country Roubaix in April of 2013! Earlier this year, I took a solo ride on the Montville Mudder, a 42-mile route on mostly gravel roads mapped out by members of the Cleveland Touring Club. In conclusion, although it's usually the case that you can't buy one bicycle to handle every type of riding you might do, the Salsa Fargo is the exception that proves the rule. From the roads to the mountains, bike trails to the 'cross course, the Fargo is your true do-it-all Swiss Army Knife of bicycles. Currently, we have the Salsa Fargo 3 in stock in a size Medium, and the Salsa Fargo 2 in stock in Medium and Large. Stop in for a test-ride! Call your nearest Century Cycles store to verify availability (we can transfer bikes to the store nearest you at no additional cost or obligation). Wednesday, August 13, 2014 is the FINAL Bike Night of the season at The Burntwood Tavern of Rocky River! Ride your bike to The Burntwood Tavern, (19304 Detroit Road, Rocky River, Ohio) from 6:00pm to closing (10:00pm), and get 15% off your bill! 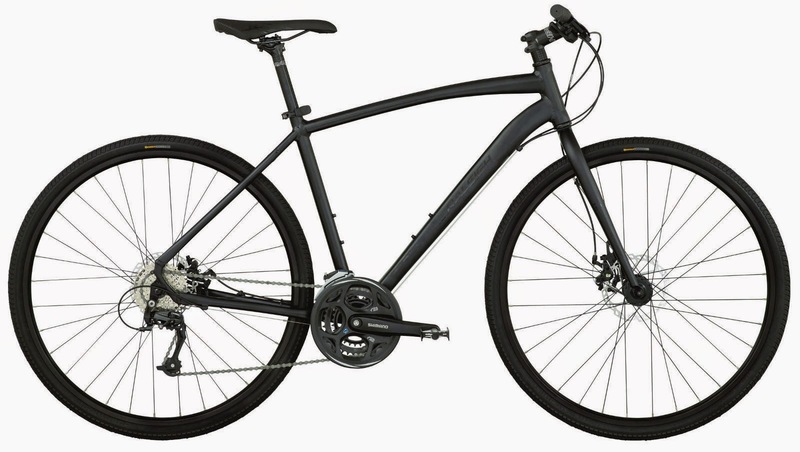 Plus, get an entry for the grand prize drawing of a Raleigh Misceo 2.0 bicycle valued at $600! The drawing will take place at 8:00pm -- winner MUST be present! We look forward to our Team CC members returning for the Bike MS ride from Brunswick to Ashland in 2015. If you're looking for a team to join for next year's ride, join us for discounts on bikes and accessories, group rides, and more! 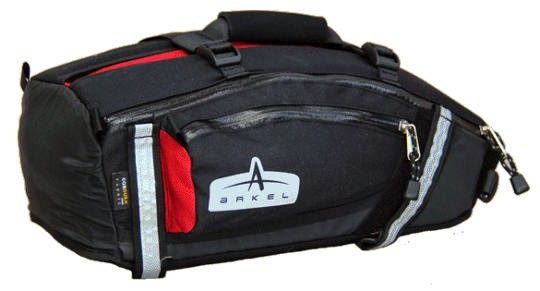 The Arkel TailRider is a premium trunk bag for those who want to easily carry lots of stuff while day riding, commuting, or touring. It holds a whopping 700 cubic inches of stuff, yet has a sleek aerodynamic look. Waterproof zippers and an integrated rain cover keep your stuff dry. The reflective velcro straps shine for safety, and easily attach the bag to your rear rack. Looking for the perfect rack to carry the TailRider or your own favorite trunk bag? The Arkel Randonneur rear rack works on almost any bike. The seat rail clamp holds most of the weight, while a velcro strap provides secondary support on your seat post, so it will even treat your carbon fiber seatpost nicely. There's also an optional Brooks saddle rail adapter available. At only 495 grams, it gives you hauling power without weighing you down. Both of the above are now in stock at all three Century Cycles stores! Keith Harris, on the other hand, is riding for just his own enjoyment and doing his own thing. 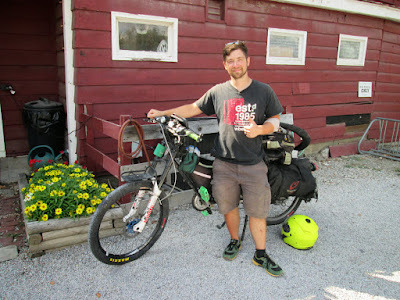 He left Hobuck Beach, Washington, and had ridden about 3,000 miles so far when he stopped in Peninsula this morning. He expects to have about 4,400 miles total when he arrives at his destination of Newburyport, Massachusetts. The cloudy skies kept most riders away, but we had three people still show up for this morning's Sunday Service Group Road Bike Ride in Peninsula. 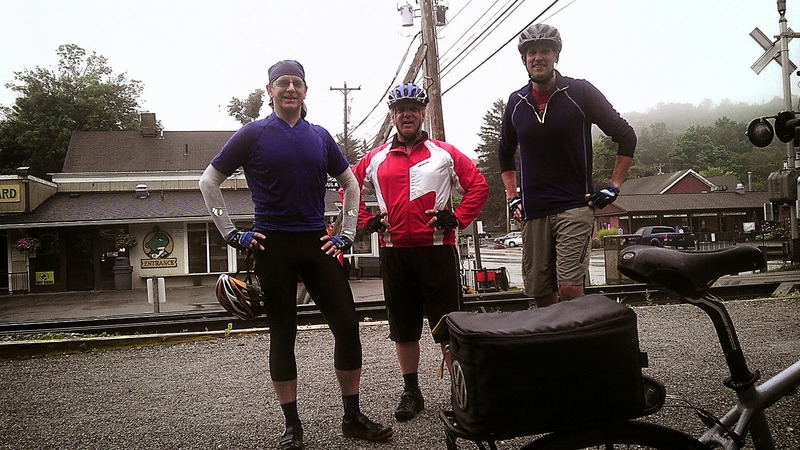 All three soggy cyclists were named Kevin: Kevin from the Peninsula store, our friend Keven from Solon, and Kevin a Peninsula customer who rode his recently-purchased Surly Disc Trucker. Next week's Sunday Service ride will be in Rocky River (Aug. 10), starting at 8:00am, and the following week in Medina (Aug. 17), starting at 8:30am. Hopefully, both of those rides will be drier!